Most people dream about building their own house one day. A nice place where your whole family can live and your children will grow up in. We spend a large portion of our income on it and usually even go into debt for creating the house of our dreams. Some of us are building it themselves, some hire workers for help, some need to outsource everything and work even harder on their dayjob. Once the house is ready, the hardest part of the job starts. We need to paint the walls, get carpets, bring our furtniture into the house, design the rooms and make it a happy place. This whole process usually takes several years and afterwards we think run out of power and think that we are ready. What most people forget about is the garden. They put so much thoughts and work into the house, that they totally forget about the garden. Garden Design is very important, because it is the piece of nature we bought to bring into the city. The children will spend a lot of time there and get to know the nature. We got the chance to provide a save and exciting environment for them, so they can discover plants, trees and animals. During summer,we can have BBQ parties with our friends while the children play soccer. In winter our kids can build snowmen and they can have snowball fights. If I think back to my childhood, I got awesome memories of our garden! We had a treehouse and spent a lot of time in it with the neighbors kids. Check out this garden. Do you want this to be yours? I don’t think so. This garden looks very boring and isn’t of any use. The owner put a ton of work into his house to make it comfortable, but totally forgot about his garden. 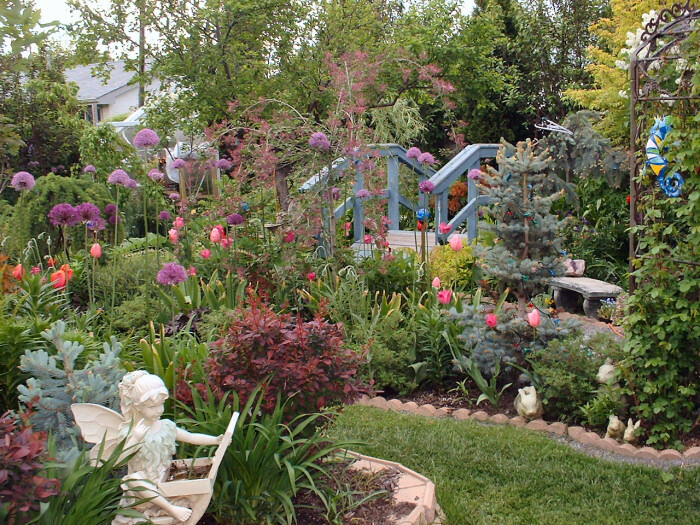 When thinking about Garden Design, it is important to brainstorm about possible styles you want to implement and the general goals you want to achieve. 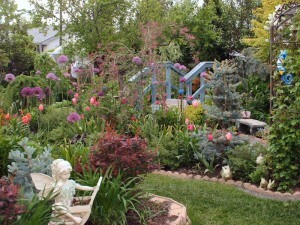 Today I am going to give you a nice Garden Design Idea: Fairy Gardening! Fairy Gardens usually are miniature gardens you can keep inside, but a lot of people start making their whole garden a fairy garden. This is a very exciting trend, because it offers a lot of opportunities to implement multiple gadgets into your garden. In case you got a dog, the dog house could be designed as a fairy garden house. Put a chimney in out, implement some windows and paint a door on it. In addition you can put some hay inside your dog(fairy) house, so it is more comfortable for your dog and a little warmer. If you got a tree in your garden, you can build a tree house in it and decorate it with lights, fairies and plants. Your children will love it and you can invite their friends to play in your garden. This way you can watch them and you know that they are alright. When designing your garden, you can build a barbecue out of stones and surround it with big plants to keep privacy. 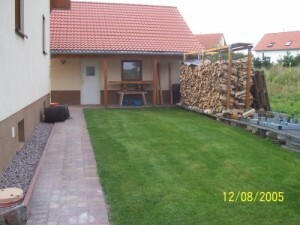 If you got additional money and time, you can think about building a winter garden aswell. 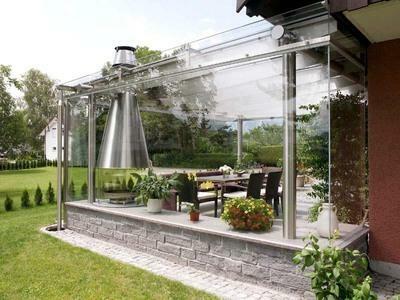 It is very easy to design such a winter garden, because your decoartion doesn’t get wet. If you place colored lights into your winter garden, it looks awesome at night. This will provide a very nice feeling at BBQ evenings for example. You can celebrate your birthdays and family parties here and have an awesome time! There are no limits set to your imagination and I hope I inspired you a little bit and you find some extra energy to put into your garden when you are creating your home for the rest of your life! Thanks for reading at http://www.fairyinagarden.com/ and keep comming back!